Philips Lighting EvoKit Collection LED Retrofit kit includes two end panels, LED driver board, closing panel and diffuser. Single light bar combined with slanted troffer helps reflect light to reduce glare and provide uniform light distribution. Troffer in powder coated finish, features galvanized steel housing. 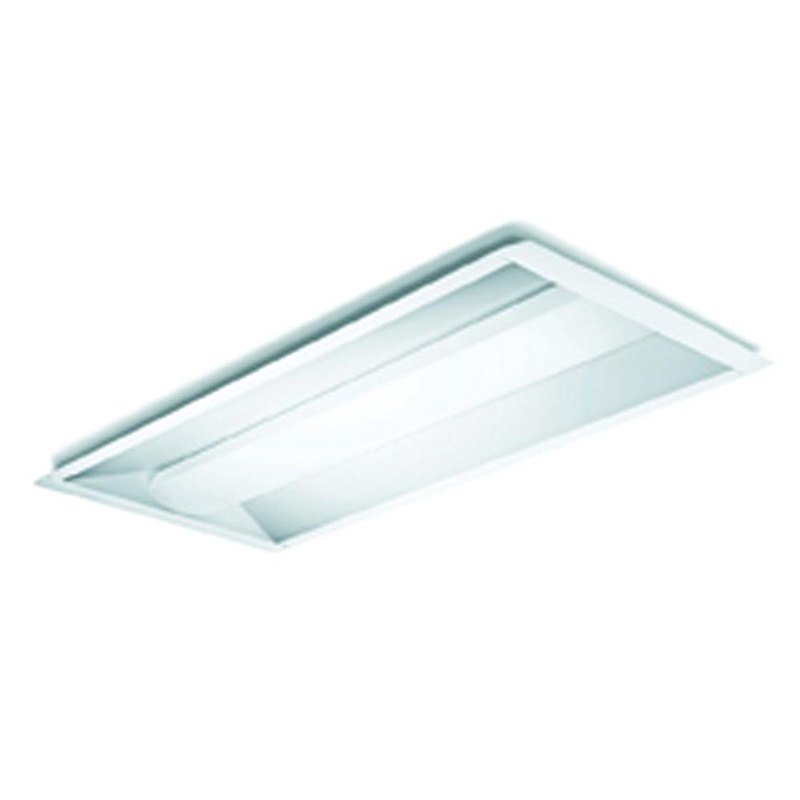 Troffer in rectangular shape, uses 36-Watt LED lamp that has voltage rating of 120 - 277-Volts. Lamp has color rendering index of 80 and color temperature rating of 4000K to ensure optimal light level in the surrounding. Lamp offers 4200-Lumens of bright light output. Lamp has efficacy of 118 LPW. Troffer in unique modular design, features 0 - 10-Volt dimming control. This recessed/surface mountable troffer measures 48-Inch x 24-Inch x 2.95-Inch. Troffer comes with 70000 hours of average life. Kit is ideal for use in office, hospitality, fashion, banks, petrol and convenience. Kit is cULus listed and DLC certified.